This talk examines how emergent trends in innovation and its governance are raising new and old questions about how to control technology- especially on issues related to national security. It develops a new framework for understanding how emergent fields of science and technology emerge as security concerns; and the key challenges these fields pose from a global security perspective. The study focuses on the politics which have surrounded the emergent field of Synthetic Biology, a field which has become emblematic of both the potentials and limits of more preemptive approaches to governance. A key contribution of this work is the development of a new ‘way in’ to thinking about the challenges posed by emergent technology and the design of relevant policy from critical and disarmament perspectives. Brett Edwards is a Lecturer in security and public policy working at the intersection of technology, security and global governance. His current research examines the security implications of cutting-edge biotechnology, the governance of biological and chemical weapons, and humanitarian intervention. This lecture is hosted by the Virtual Institute for Responsible Innovation (VIRI), the Centre for the Study of Existential Risk (CSER), and CRASSH. Here at Bath we decided to collate some of the stuff we have been reading into monthly(ish) short reviews. In part this is to stimulate discussion- and at other times to demonstrate that reading some of these books and articles really does count as work. Generally speaking, our current interests revolve around emergent technology and security- especially technology futures, responsible innovation and disarmament. Much of the stuff we end up reading also stems from suggestions we get from other people we bump into in the department as well as from other faculty who recommend all sorts of weird and wonderful things- oh yes, and inevitably from Twitter. Welcome also to @AnnaRoessing who is soon to join us here at Bath. My recommendation this month is, again, an established classic. Nonetheless, it’s a text that I think should get far more attention from scholars working at the intersection of STS-security-politics. Like many of the most perennially “useful” works, Haraway’s Cyborg Manifesto offers not just sharp and insightful analysis – of what human bodies and minds in technological modernity mean/are/can be/ought to be – but also provides us with tools to think with. Much like Foucault (whose own biopolitics receives short shrift from Haraway in comparison to her Cyborg politics), Haraway provides us with idioms or tropes to think with, but also with suggests new ways of thinking and relating different forms of knowledge, materiality, politics and life. By way of illustration, I offer the following short abstract from the work – suggesting that such thought could be fruitfully brought into analyses of the power and politics of technologies and (more than/less than) humans in modernity – and particularly in relation to contemporary developments in cyber, bioconvergent and other technologies of war/security/state violence. Our best machines are made of sunshine; they are all light and clean because they are nothing but signals, electromagnetic waves, a section of a spectrum, and these machines are eminently portable, mobile—a matter of immense human pain in Detroit and Singapore. People are nowhere near so fluid, being both material and opaque. Cyborgs are ether, quintessence. The ubiquity and invisibility of cyborgs is precisely why these sunshine belt machines are so deadly. They are as hard to see politically as materially. Rosi Braidotti and Maria Hlavajova (ed.) (2018) Posthuman Glossary. The Posthuman Glossary is a collection of responses to the critique of humanism and anthropocentrism that explores the multiple and incoherent identities of the (post)human. It maps and helps navigating through the multiple discourses circulating about the notion of the Anthropocene, the human, and the post/a/trans/inhuman. It’s guiding questions address how power relations feature in the post-human universe, it explores methodologies to analyse violence and resistance but also asks what role art and scholarship can play in movements of resistance. Many contributions, therefore, address the prevailing power differences based on race, gender, class, sexuality, able-bodiedness in-between humans and in their interaction with the ecological and technological environments. Underlying is the critique of humanist ideals as well as the species hierarchies of anthropocentrism, including the power dimensions and privileges of Eurocentric traditions of critical thought. The incorporation of individual perspectives and experiences allows a thoughtful exploration of the analytical and normative boundaries between the ‘inhuman’ and the ‘non-human’. Particularly refreshing is the critical engagement how prevailing perceptions of a ‘we’ becomes a way of perpetuating a form of anthropocentrism and to manifest entitlements associated with a particular notion of ‘the human’. In that context, much thought is given on the role of culture in shaping the contemporary (techno)-social imaginary. For its exploration, it draws from across different scholarship and traditions including artistic practices also with the aim to link different generations of thinkers, practitioners, and users of technologies. This also serves the translation of critical thought to every day and real-life issues. In order to explore epistemic and methodological transformations that are necessary to avoid the reproduction of ‘inhuman’ structures, the project draws on neomaterialist approaches and monoistic process ontologies with reference to the work of (among others) Haraway, Latour, Deleuze, and Guattari. The critical conceptual part yet is embedded in the ethical concern for the relationship between concepts and real-life conditions with a focus on the role of affection, accountability, and diversity in the aim to find creative responses to current challenges. I was at a conference recently* in which there was discussion of the emergence and character of the academic field of Aritificial Intelligence as a new ‘techno-science’ associated with emergent security apprehensions. It occured to me, that a key challenge facing non-scientists thinking about emergent fields is to define such fields as subjects of study. Inevitably, such defintions tend to hilight contingent (but important) dimensions which give a field a bounded form which make it a sensible field of study ( and not just a buzz word). There are several strategies that can be adopted to bounding such fields- distinguishing key groups of movers and shakers, who constitute the field vanguard, focusing on key institutions, or else focusing on some material, informational or technological distinction which defines the field. The final approach is more paradigmatic, in that it centers on the espoused ( or more embodied) intellectual aims of the field — focussing in particular on the emergence of new goals, languages and approaches to innovation which develop out of new working relationships between different groups of innovators on a new project. It is not clear to me if such epistemic aims should be of the most interest in tracing or critiquing the underlying politics of an emergent field ( although there is much great work on this). It is however something which certainly be-devilled me when if was first trying to get to grips with defining the field of synthetic biology. It is then something which needs to be perhaps be understood to ‘ get past’ and ‘place in context’ in order to show how interests, instiutionalised norms and power relations feed into shaping the organizing metaphores and languages which emerge with new fields. There is a lots of great work on methaphores in science, and in the communication of science. But perhaps the piece which most sensitised me was this article- and is a great place to start- the book it relates to , which I will review at a later date is also wonderful. This article examines the historical roots of synthetic biology, highlighting the multiple meanings and understandings of the term. Synthetic biology as it is used today refers to an especially wide range of endeavors, embodying an equally wide range of aims, and having correspondingly various relations to the activities generally included in the discipline of biology. To address the question of what synthetic biology has to do with biology, this article illustrates some of the ways in which the entanglement of synthetic biology as the epitome of technoscience and synthetic biology as an alternative, artificial biology plays out in three different examples of synthetic biology—one current and two historical. Here at Bath we decided to collate some of the stuff we have been reading into monthly(ish) short reviews. In part this is to stimulate discussion- and at other times to demonstrate that reading some of these books and articles really does count as work. Generally speaking, our current interests revolve around emergent technology and security- especially technology futures, responsible innovation and disarmament. Much of the stuff we end up reading also stems from suggestions we get from other people we bump into in the department as well as from other faculty who recommend all sorts of weird and wonderful things- oh yes, and inevitably from Twitter. During the sixteenth and seventeenth centuries a radical change occurred in the patterns and the framework of European thought. In the wake of discoveries through the telescope and Copernican theory, the notion of an ordered cosmos of “fixed stars” gave way to that of a universe infinite in both time and space—with significant and far-reaching consequences for human thought. Alexandre Koyré interprets this revolution in terms of the change that occurred in our conception of the universe and our place in it and shows the primacy of this change in the development of the modern world. Founded in 1958 in response to the launch of Sputnik, the agency’s original mission was to create “the unimagined weapons of the future.” Over the decades, DARPA has been responsible for countless inventions and technologies that extend well beyond military technology. 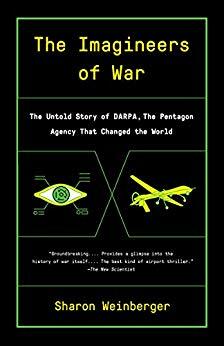 Sharon Weinberger gives us a riveting account of DARPA’s successes and failures, its remarkable innovations, and its wild-eyed schemes. We see how the threat of nuclear Armageddon sparked investment in computer networking, leading to the Internet, as well as to a proposal to power a missile-destroying particle beam by draining the Great Lakes..
An incident involving the poisoning of two people in Amesbury is currently unfolding. I will be updating information on this incident here as it emerges over the next few days. There are daily summaries at the top of this document and you can scroll down for more in-depth coverage of events. This is a live document, extra care has been taken with sources and factual accuracy- however there will likely be many typos. Death of Dawn Sturgess, one of the two victims of the Amesbury incident. A Police officer attends hospital in relation to the incident, but is given the all clear. Last night the Metropolitan police confirmed that they suspected the couple had handled a poisoned item. Throughout the day there is discussion of this issue. A more detailed picture of the movements of the Victims in the lead up to the incident emerges. On the morning of the 5th of July the Amesbury story would make headlines in UK newspapers. Late the previous evening it had been confirmed by the Metropolitan Police that Novichok has been involved. Although aspects of the UK press had been tipped of some hours earlier. There would be appearances from a number officials on UK morning Breakfast news programmes. At lunch time we would see statements from the Home Secretary and PM. The Home Secretary addressing the Commons following a second COBRA meeting confirmed that the Chief Medical Officer has confirmed that the risk to the public remained low- and asked public to follow precautionary measures suggested by local services. The guidance would be similar to guidance given following the initial Salisbury incident. He also called on Russia to explain the incident. He confirmed that Porton had not only confirmed Novichok- but also that this was the same type employed in the Salisbury incident ( how ever Porton were still working to see if they could match source batch, which might not be possible). He also stated that the strong working assumption is that the couple affected had come into contact with a new site of contamination, previously not identified. All previously decontaminated sites were safe. The incident did not look like cross-contamination from places that the Skripals may have visited. Further more any sites visited by the couple recently effected, as well as suspected sites of contamination have also been cordoned off. He also noted that the UK government were keeping an open mind, but the strong working assumption was that is incident was related to the Skripal attack- which it is believed that Russia orchestrated. A multi-agency press conference took place around 5pm in Amesbury. Prepared statements here. This included prepared statements and fielded questions from Wiltshire Police Chief Constable Kier Pritchard, Deputy Director for Public Health England in the South-West Debbie Stark and Chief Executive of Salisbury District Hospital Cara Charles-Barks. At around 5.30PM there are reports that counter-terrorism police are focusing their attention of identifying and recovering a contaminated item which they suspect was handled by the victims. This is linked in the press to reports of investigations at a hostel. This incident has attracted attention because of it’s apparent similarities to the Skripal incident. However, it is clear at this point that there are perhaps other much more likely explanations for both the poisonings and the precautionary actions taken by the local police in the Amesbury case – with illicit drug use remaining a likely explanation. This is not only because it is one of the most commonly seen causes of poisoning in adults, but also because illicit drug use has increasing involved exotic and increasing toxic compounds. It is also worth remembering that many overdoses involve combinations of intoxicants. Powerful opiates such as Fentanyl are increasingly prevalent on the illicit drug market, and can be highly toxic in minute quantities; which can pose risks to first responders in particular ( you can get some of the background on the UK spread of such drugs here, and can also find out about some of the challenges posed to first responders here) . The increasing prevalence of such drugs, in part explains early speculations that the Skripals may have ingested such an agent; before it was eventually confirmed to be a nerve agent by the global chemical watchdog. It also explains why drug abuse related incidents can spark major responses. Public Health England and other relevant agencies had also appeared satisfied publicly with the clean up operation. At the same time, suggestions of links to the Skripal incident have been prevalent- especially on Wednesday following official designation of this as a major incident, the involvement of the Metropolitan police counter-terrorism unit in investigations, as well as claims from unnamed officials that samples had been sent to Porton Down. As of 7pm on Wednesday evening my view was that a key parallel here with the Skripal incident is that vague statements are emerging from officials quite slowly. Where as the story has (only today) ramped up very quickly and suddenly in the media. This was creating an information void which is allowing for multiple interpretations of events to be sustained. However, it seemed likely that many steps taken by relevant agencies had been precautionary- with no real expectation that Nerve agent would be found. However, by 8pm on the same evening earlier unconfirmed suggestions that the Police were investigating the possibility that nerve agent was employed appeared to be supported by claims in the Independent that Porton Down had confirmed Novichok. There would be over an hour between the Independent breaking this story and either official confirmation or denial from the government. The Metropolitan Police would confirm exposure to Novichok just before 10pm. ‘An incident in the Kings Gate area of Amesbury on Saturday evening (June 30th) is thought to have been a drug-related medical episode. More than 10 emergency vehicles arrived on the scene from police, ambulance and fire service. ‘A South Western Ambulance Trust spokesperson told Spire FM News they were called at 6.20pm. One patient has been taken to Salisbury District Hospital by land ambulance. They also tell us the response from the emergency services has been ‘precautionary‘. ‘Wiltshire Police and partners have this evening declared a major incident after it is suspected that two people might have been exposed to an unknown substance in Amesbury. Emergency services were called to an address in Muggleton Road, Amesbury on Saturday evening (June 30) after a man and woman, both in their 40s, were found unconscious in a property. They are both currently receiving treatment for suspected exposure to an unknown substance at Salisbury District Hospital. They are both in a critical condition. It was initially believed that the two patients fell ill after using possibly heroin or crack cocaine from a contaminated batch of drugs. However, further testing is now ongoing to establish the substance which led to these patients becoming ill and we are keeping an open mind as to the circumstances surrounding this incident. At this stage it is not yet clear if a crime has been committed. A police investigation has been established. In addition, a full multi-agency response has been co-ordinated. A number of scenes, believed to be the areas the individuals frequented in the period before they fell ill, will be cordoned off overnight in and around the Amesbury and Salisbury area as a precautionary measure. The public can expect to see an increased police presence in and around Amesbury and Salisbury. Salisbury District Hospital is open as usual and is advising people to still attend routine appointments unless they are contacted to state otherwise. Wiltshire Police and partners will update the public as soon and as regularly as possible. A Public Health England (PHE) spokesman said: “The current advice from PHE England, based upon the number of casualties affected, is that it is not believed that there is a significant health risk to the wider public. This will be continually assessed as further information becomes known”. This announcement, led to increased national and international press coverage- as it appeared to open up the possibility that this incident- which appeared in close proximity to Salisbury was not in fact a drug related incident. In response a number of national and international newspapers ran stories, making links between this incident and the Skripal attack which occurred in the near by town of Salisbury. ‘.A government spokesman said ministers were “being kept up to date about the incident in Amesbury”. It was been indicated by the local police to press by 11.30am on the 4th July that individuals may have been known to police. At around 12 pm on the 4th July, Sky News report that samples have been sent to Porton Down and that Anti-terror police are investigating. In the context of the recent Skripal incident this will be taken by some to suggest that there is now suspicion of a terrorist incident. However, it is also worth remembering that a number of considerations drive responses to such incidents, in the wake of the Salisbury case- precaution as much as suspicion may be a key factor which has driven the emergence of a coordinated response. It is also clear that the UK has an incentive to demonstrate it has the ability to rapidly distinguish different forms of incident. Russia Today posted its first piece on this issue at around 6am on the 4th July. As of 12.52 pm the State television organization were focusing on the idea that this incident may have involved a drug overdosed ( based on earlier Wiltshire Police reports) as well as previous denials and accusations in relation to the Skripal case- the piece also pointed to the paucity of evidence presented by the UK in relation to that case. Press clearly have ready access to back catalogue on info and infographics on the Skripal case, which is leading to the rapid generation of content. Results from Porton are apparently expected this evening. However, it is clear to me at least that once info on patients starts to circulate it will give the public a clearer sense of the incident; either pointing back to initial drug overdose narrative- or justifying press speculation about connections to Salisbury incident. At just after 2.30pm (4/7) ITV publishes a short clip of first interview with friend of the victims. A local man ( identified as Sam Hobson) states that he has also been checked over. The interview is ambiguous. It is not clear whether the man is referencing to drug use or something else. Is also not clear if he is referring to the Salisbury incident or some previous incident. ‘Neighbours living near the scene were keen to find out more about what had happened to the couple. College student Chloe Edwards described seeing police cars, fire engines and people in “green suits” on Saturday night. “We saw everything,” said the 17-year-old, who lives near the cordoned-off flat. “We were just eating our dinner and all these emergency vehicles turned up. She said the vehicles arrived at about 7pm and she and her family were told to stay inside their home until about 10pm. “We wanted to know what happened and, with the Russian attack happening not long ago, and we just assumed the worst,” she said. A live local twitter search ( of tweets giving a location within 15 miles of Amesbury), performed at 15.00pm, showed some local discussion of the incident- however, other issues such as Love Island and the football results were appearing much higher in searches. There were however a number of posts from locals discussing the incident, which had began to emerge throughout the day. Just after 3pm a newspaper first puts names and faces to the victims of being treated in hospital. It is clear that these individuals are known locally, and that it would be highly unlikely that they had links to espionage. Despite this parallels and links with the Skripla incident are still being explicitly made and implicitly inferred in the coverage. “We were preparing clothes to take to Dawn in hospital. “He felt ill and went for a shower. Then his eyes went bloodshot and like two pin pricks, he began garbling incoherently and I could tell he was hallucinating. He added: ”This doesn’t make any sense – I can’t see why they’d be targeted. Such symptoms ( including pin-prick pupils, respiratory distress, hallucination etc)would be consistent to exposure to a wide range of poisonous substances- however, would narrow down the range of substances involved. Medics would have used symptoms to initially help identify the class of poison involved, while they attempted to stabilize the patients. They then may have chosen to conduct a range of tests in house to confirm what broad class of poison they were dealing with. They also had the option of sending samples to poisons specialists to give a more specific identification. This information is available in hospital incident response guidelines which are available publicly. ‘It was initially believed that the two patients fell ill after possibly using drugs from a contaminated batch. However, further testing is now ongoing to establish the substance which led to these patients becoming ill.
At this stage it is not yet clear if a crime has been committed. Our enquiries, supported by local partner agencies and the Counter Terrorism Policing Network, are ongoing and a full multi-agency response has been co-ordinated, which currently consists of around 12 partners. We are keeping an open mind as to the circumstances regarding this incident and will continue to work closely with partners to progress our enquiries. A number of scenes, believed to be the areas the individuals frequented in the period before they fell ill, remain cordoned off in and around the Amesbury and Salisbury area as a precautionary measure. What is interesting is that UK based media appears to be focusing on two very different narratives at the same time. On the one hand there is continued referral to the idea that illicit drugs are involved. On the other hand, some journalists are still emphasizing the link the Skripal case and the link to Salisbury- with reference to claims made by the Victim’s friend. This coverage is quite at odds. Yet this statement appears to contradict the low police presence being reported at this site in Salisbury by local journalists. Preparation, in this scenario must also be a particularly minimal process- because as chemical weapons expert JP Zanders has noted in a tweet : ‘Bear in mind that the public @OPCW analytical report states that the agent recovered had as good as no impurities. A park is not the type of environment where one would prepare such pure nerve agent.’ (There would be later reference to purity of Agent on BBC Newsnight, as a factor which can guarantee persistence of an agent of this type). Images are now starting to emerge of initial paramedic response to incident. Which supplement images of cordons and so on which have been circulating the internet over the past few days. As might be expected, different levels of hazmat PPE were being used at this point by police and medics. This was four hours (approx) after first patient had presented with suspected drug overdose. At around 7pm The Independent breaks the story that DSTL have confirmed Novichok ( just after DSTL presented findings to the Government). There would be at least two hours before confirmation or denial of this apparent leak.Journalists from the Independent had apparently been at the scene all day- and there seemed to be little reason to doubt at least some truth in the claims. Although it did not appear clear at this point how the specific agent would have been identified ( assuming Porton had blood samples alone in this case) suggesting that any confirmation from the government at his point ( if it was forthcoming) might only confirm a broad agent class. It has been announced that a second Cobra meeting is planned tomorrow to discuss findings in a statement from the Home Secretary. This evening we have received test results from Porton Down that show the two people have been exposed to the nerve agent Novichok. At approximately 10:15hrs on Saturday, 30 June, the South West Ambulance Service was called to a residential address in Amesbury, where a 44-year-old woman had collapsed. She was subsequently taken to hospital. At around 15:30hrs that day, the ambulance service was called back to the same address, where a 45-year-old man had also fallen ill. The man was taken to hospital and Wiltshire Police were informed. From initial assessment it was thought that the two patients had fallen ill after using drugs from a potentially contaminated batch. However, on Monday, 2 July, due to concerns over the symptoms the man and woman were displaying, samples from both patients were sent to Porton Down laboratory for analysis. Following the detailed analysis of these samples, we can confirm that the man and woman have been exposed to the nerve agent Novichok, which has been identified as the same nerve agent that contaminated both Yulia and Sergei Skripal. The latest update we have from the hospital is that both patients remain in a critical condition. Both are British nationals and are local to the area. Officers are still working to identify their next of kin. Later that evening, the story would be given in-depth coverage in local and national news. On BBC Newsnight, Jerry Smith ( former OPCW inspector) and BBC Diplomatic Editor would be interviewed. Jerry Smith suggests likely scenario at this point is that incident is an unintended consequence of Skripal incident. Further more that pure agent of this type degrades slowly. Also suggests binary agent may conceivably of been employed -and that mixing/preparation or delivery materials may have caused contamination. The mornings main developed were outlined in timelines produced by the Independent and Evening Standard, and BBC news which are synthesized and supplemented here. The morning’s developments would come before and during the announcement of the outcome of the 11am COBRA meeting. ‘”Novichok doesn’t evaporate. It exists forever,” the source added. “Incineration is the most effective method. At around 11am local MP The MP for Salisbury has said he believes the couple came into contact with the nerve agent after it was discarded from the Skripal incident in March. At Around 11am first statement from the Kremlin on the matter was also made, picked up by TASS. At this point the real diplomatic games will begin. Statements from the UK are already pointing to OPCW involvement- however, Russia and UK have fundamental disagreements on OPCW which can be traced back through the Skripal affair and the Syria issue. The UK has a number of options in can pursue in terms of OPCW involvement- all carry political risks (domestically and diplomatically). These will likely be explored in coming days. Russian State Media outlets, as well as offical social media will continue to raise public suspicions about Porton Down, push for Russian involvement in any investigation, and and also try and prevent the UK using the newly established attribution system within the OPCW ( which Russia has strongly apposed). Indeed, these perspectives are now being reflected in early statements from official Russian sources. This means the UK ( and likely OPCW) will receive continued criticsm from Russia if the UK does take any of her prefered options on this issue. At lunch time, following the COBRA meeting Theresa May also made her first public statement on the matter. This was accompanied shortly after by a statement in the House of Commons by Home Secretary Sajid Javid. In his statement The Home Secretary addressing the Commons following a second COBRA meeting confirmed that the Chief Medical Officer has confirmed that the risk to the public remained low- and asked public to follow precautionary measures suggested by local services. The guidance would be similar to guidance given following the initial Salisbury incident. He also called on Russia to explain the incident. He also stated that “It is now time that the Russian state comes forward and explains exactly what has gone on.” He confirmed that Porton had not only confirmed Novichok- but also that this was the same type employed in the Salisbury incident ( how ever Porton were still working to see if they could match source batch, which might not be possible). He also stated that the strong working assumption is that the couple affected had come into contact with a new site of contamination, previously not identified. All previously decontaminated sites were safe. The incident did not look like cross-contamination from places that the Skripals may have visited. Further more any sites visited by the couple recently effected, as well as suspected sites of contamination have also been cordoned off. He also noted that the UK government were keeping an open mind, but the strong working assumption was that is incident was related to the Skripal attack- which it is believed that Russia orchestrated. We are once again also seeing technical discussions of agent emerge on twitter. In the sense of parity, it is also worth noting that we are still waiting for further technical details on the Skripal agent to be made officially public by the UK Government. quick skim suggests that the while there is some concern and annoyance, there is not panic. Throughout Thursday further cordons would be erected and a number of fresh evacuations would take place, which were picked up by local news. Further background information on the Amesbury victims would also continue to emerge throughout the day. At around 5.30PM the Metropolitan police confirm that they are focusing thier attention of identifying and recovering a contaminated item. In addition, there would be continued discussion of the question of agent persistence and broader public risk. With some individuals claiming that there was significant differences in expert opinion on the environmental persistency of these agents. .However, while there is scarcity of information on this group of compounds in open scientific and hazmat literature- some of disagreements appeared to stem from discussions at cross purposes. This would also reflect the public facing expertise landscape around this issue. Much public information on these agents appears to be sourced from a range of former Soviet Scientists who came forward following the initial Salisbury incident- as well as other independent CBRN experts- as well as other forms of experts and commentator with claims to relevant knowledge on these agents. The absence of public information on these issues from state governments, scientific bodes or the OPCW Technical Secretariat- may be one factor which added to the continued reluctance of government experts (with more clearly defined credentials) to speak on these matters in relation to the Amesbury incident. Several issues were especially apparent. The first was that the term ‘Novichok’ has been used in the press with reference to the broad class of agents ( which have a wide range of characteristics) as well as the specific sub-type of the agent which was used. Second, is that the term ‘persistence’ is a relative term which mean little without context. Both of these issues allowed commentators to point to apparent inconsistencies. In addition is is clear that the potential role of a container could greatly effect degradation rate. In addition, we saw reference to the idea that Public Health advice to wash clothes with water and detergent sat at odds with claims about the possibility of environmental persistency or even the claimed toxicity of the agent. Something which does not really hold up to scrutiny- washing of objects which may theoretically have had micro levels of contamination appears a sensible precaution. Will be work by OPCW technical body on this broader issue. ‘Russian media has acted with incredulity at the recent novichok poisonings, with several saying the UK has orchestrated the attack to fuel anti-Russian sentiment. Newspapers in the country have entertained other conspiracy theories and vehemently denied Russia was involved in the poisoning of Dawn Sturgess and Charlie Rowley in Amesbury. “https://www.wiltshire.police.uk/article/2947/Update-from-Metropolitan-Police-on-Amesbury-incident”>further details of their movements prior to them falling ill on Saturday, 30 June. There continued to be reports of an unknown number of people having attended local hospitals with concerns in local news. There would also be continued police activity throughout the day. Late Saturday evening it was reported that a Police officer had attended Swindon Hospital before been transferred to Salisbury. https://twitter.com/bwiedwards/status/1015686215809617920 Press quickly started appearing at both Hospitals. It was later confirmed that this had been precautionary. Home Secretary spent this morning in Salisbury and Amesbury. This really is an invaluable source for scholars and practitioners interested in getting to grips with the state of the art in IR scholarship that looks at the intersection of tech, society, politics, science and culture. The introduction particularly serves as a great touch-stone reference point for understanding how various dominant approaches and understandings emerge and fit-together. While there are definitely points at which you’re urging the discussion to go a step or two further – to get a bit deeper into an issue or to wrestle a little more with some of intersections between theory/concept and materiality – that really isn’t what this book is about. And in doing what it sets out to do – provide a detailed, rigorous introduction – the book is definitely successful. The contributions cover a lot of ground and the recommendations for further readings are excellent throughout. For those among us interested in the technology and war/war as society/social production of technology nexus (or those interested in being interested in it!) I particularly recommend Antione Bousquet’s short chapter on the concept of the RMA. Sovacool, B. and Hess, D (2017). Ordering theories: Typologies and conceptual frameworks for sociotechnical change, Social Studies of Science Vol 47, Issue 5, pp. 703 – 750. If like me, you are interested in understanding the co-production of technologies and sciences through discourse, narrative, culture, politics and security… AND if you, like me, like to invent new problems for yourself by trying to always work with rather than against complexity – then I thoroughly recommend this article as a useful reference point. Sovacool & Hess define theories straightforwardly as ordering devices, and from there provide a categorisation of theories of sociotechnical change by approach, epistemology and normative concerns. It’s good, useful and brings some simplicity back to the complexity of theories of thickness. As above, very little of this book concerns itself very explicitly with the concept of security, though issues of great import for world politics and international relations feature throughout. The book engages in real depth with theoretical, empirical and conceptual issues at stake in the imagining of technological – specifically posthuman – utopian futures in modernity. The range of contributions takes the reader through a really broad range of approaches – from theology to STS – and the volume is probably well described as interdisciplinary. With that said, each contribution works towards a comprehension of the same central question of how to understand how social realities shape, and are shaped by, technological visions of the future. The introductory chapter, from editors Hava Tirosh-Samuelson and Benjamin J. Hurlbut defines how technology is understood in the book, locating it historically as a specifically modern phenom. Technology is not to be understood as machines or tools, but rather as an assemblage or complex interaction of machine systems, as well as processes and techniques that are both social and material. I’d recommend this book to researchers interested in getting to grips with the larger cultural or social narratives and understandings that are at play in guiding (and are re-produced in) the development of transhumanist discourses and technologies. I’d also recommend it to anyone interested in the substantive political and social effects of the kinds of phenomena we often only refer to off-hand… such as human perfectibility. This book was published 6 years ago. I have no idea how it passed me by. Kurzweil is uniquely placed to reflect on philosophy of the mind and the ethics of technology as he takes you on a tour of the history of artificial intelligence systems. I found that his way of writing and reasoning stayed very close to his engineering roots; while still providing lively examples. Some of the concepts introduced, particularly related to emergent complexity and adaptive systems are not just ingenious, but beautiful. I must admit, I had picked this book up with a slight skepticism. But I finished it feeling I had been able to engage with some of the technical dimensions of this area in a way that I had previously thought would prove completely inaccessible to me. 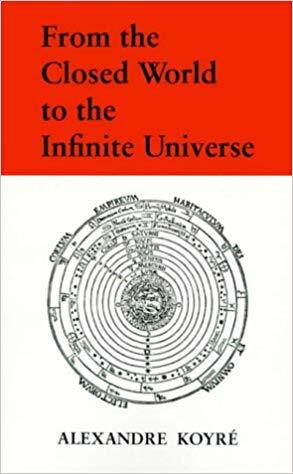 Neglecting the visionary stuff, for me the real triumph of this book was the way in which Kurzweil would transplant metaphors and principles between physical systems he had build, and more abstract philosophical questions. Reductive at times yes, but I felt that on balance this book opened up many more interesting questions than it inadvertently closed down, about the mind, and what it would mean to build one. Following the poisoning of Sergei and Yulia Skripal in Salisbury in early March, the UK Government asked the Organisation for the Prohibition of Chemical Weapons (OPCW) to confirm its identification of the agent, commonly known as a “Novichok”. The OPCW is the body established by the Chemical Weapons Convention, an international treaty with the aim of achieving a chemical-weapon-free world. OPCW inspectors visited the UK and took a number of samples from relevant locations and from individuals affected by the poison. These were then dispatched by the OPCW laboratory to a number of accredited laboratories around the world. Broader political debates about the OPCW would quickly bleed into the discussion and presentation of Laboratory findings. For example, one senior Russian diplomat would even erroneously claim that another toxin had been found in the OPCW samples, and that this had not been reported. This came in the context of a number of debates about the source of the agent which were framed in technical terms. In this seminar, Richard Guthrie will provide an overview of the technical issues involved in the methods used by the OPCW for sampling and analysis in investigations of alleged use of chemical weapons. Brett Edwards will then discuss the ‘narrative-wars’ which have surrounded these technical processes. Dr Richard Guthrie has worked in and with the non-governmental, governmental and inter-governmental sectors, mostly looking at technology control and innovation issues that relate to materials and technologies that can have hostile as well as peaceful uses. He is Coordinating Editor of CBW Events, a project to create a record of events to enable and encourage understanding of how policies on the issues relating to chemical and biological warfare (CBW) and its prevention are developed. Dr Brett Edwards is a Lecturer in the Department of Politics, Languages and International Studies at the University of Bath. He works on a number of projects which examine the governance of biological and chemical weapons.